Funny story: I've been nursing a hurt foot since the 1st of the year when I landed on it sideways while trying to get my dog up the stairs (way to start 2013!). The first day was grueling, as I felt helpless hopping around the house on one foot and not being able to drive anywhere! Luckily, it is feeling MUCH better and I'm able to resume my normal activities with a little limp. The upside of this experience is that I'm am beyond grateful for what I had taken for granted: my body! And now, back to your regularly scheduled program... an outfit! I was finally able to wear heels and oh boy did it feel good! Sometimes make up and a good outfit on the outside makes me feel better on the inside. Really loving this look! The jacket with the studs is amazing!!! and the pop of color is perfect! hey hun just wanted to let you know you have the capatcha thingy on ur blog alot of bloggers dont know they have it on. Love that jacket! I can't believe it came from F21 and the scarf was just the right pop of color. anyways now I follow u via fb as well..please follow me back! love the neon scarf! Wow, i love and adore this outfit!!!! Thank you so much for your recent comment on my blog~~ i'm so sorry that I haven't been able to check yours out or respond to your lovely comment until now. This won't be my last time here, NOW following ;) xO! 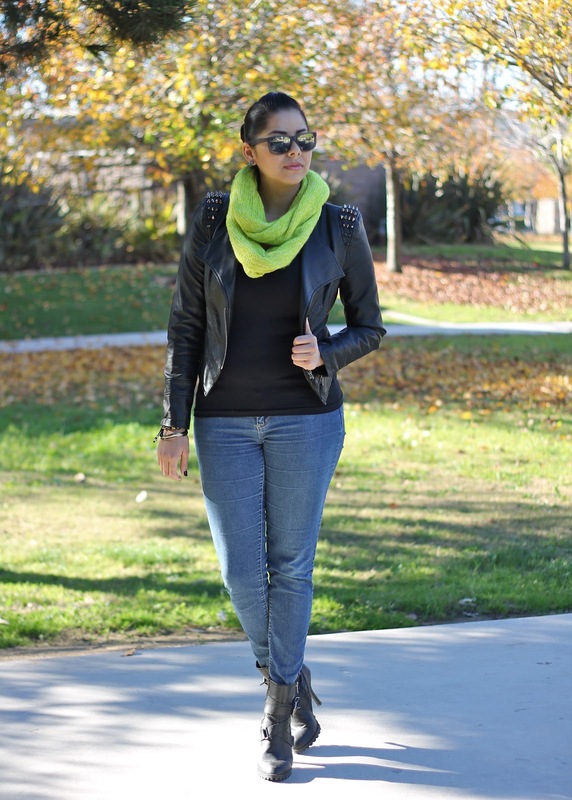 Love the pop of color from the scarf! Lovely outfit and amazing jacket! Love it!! The scarf is gorgeous! Thank you so much for commenting, I appreciate it a lot! Love that little scarf! Glad you're feeling better. I agree when you look good, you feel good! thanks for your comment!! i like your neon touch!! I love that touch of color!!! really amazing!!! Love it!!! Great neon scarf!! LOVE LOVE that pop of neon and those biker boots....very cool styling. 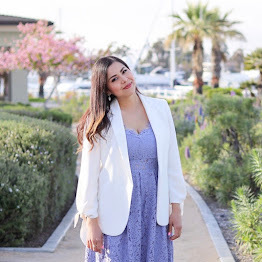 You totally rocked that outfit paulina! you look gorgeous! That shot of neon is so tres fab doll! Like spring came a bit early- love it! 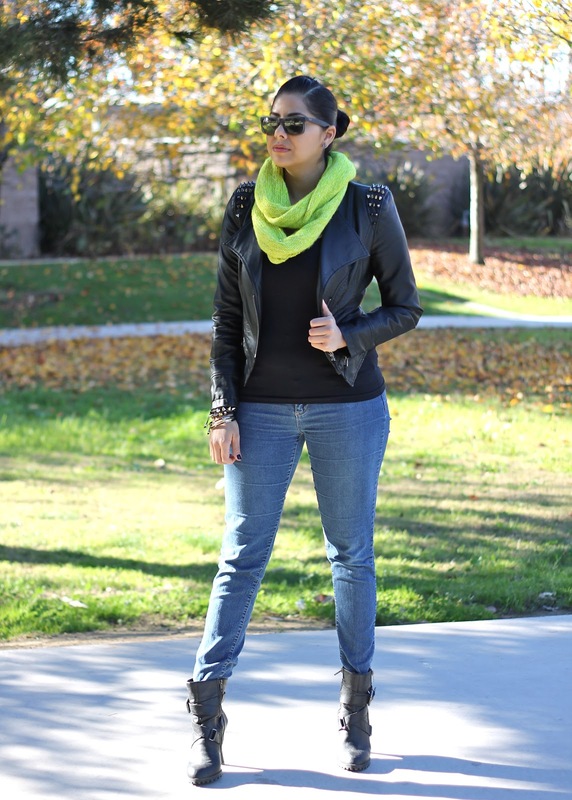 I adore the studded leather jacket and the pop on Neon of the scarf! Great style doll! Wish you a great weekend! Lovely outfit! Your shoes and jacket is amazing!